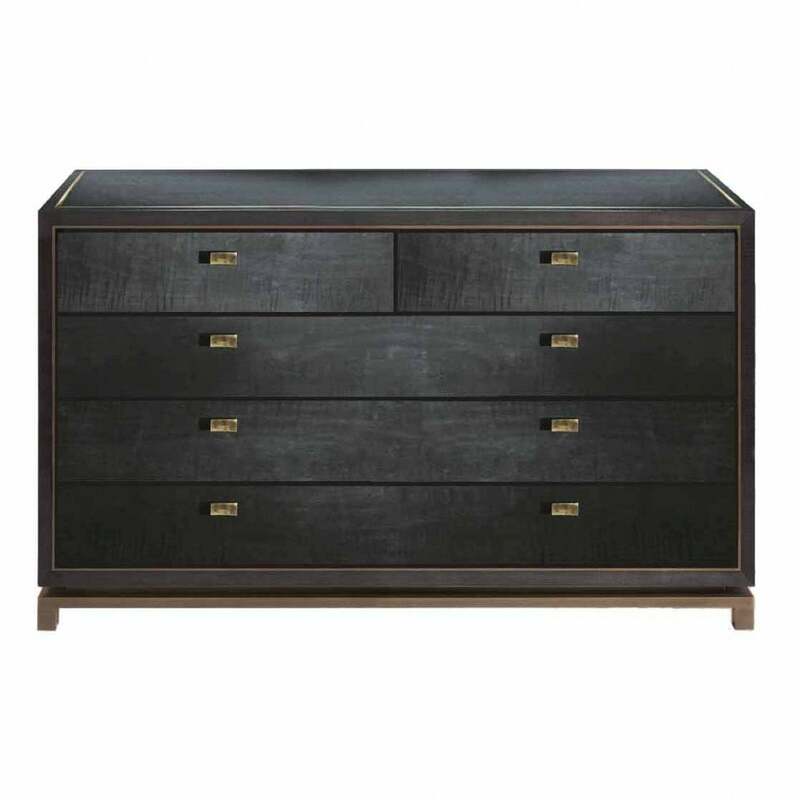 The Bronze Chest of Drawers XIII is shown here in figured sycamore wood, stained dark grey with a high gloss finish. The sturdy bronze base, bronze inlay on top and sides and strong lines are reminiscent of the Art Deco era. Pair with striking colours in bold yellows, greens, blues and pinks or choose softer creams and beiges for an elegant design scheme. Complete the look with displays of beautiful flowers, perfume bottles and trinkets, or keep it simple with wall art placed directly above. Christopher Guy's Mademoiselles Set of Frames will add a pop of colour in mixed wood and metallic accents. Available in a range of finishes including natural black American, walnut, oak and figured sycamore.